Home / 90s / 911 / concert / music / news / reunion / 911’s KL concert ticketing details released! 911’s KL concert ticketing details released! 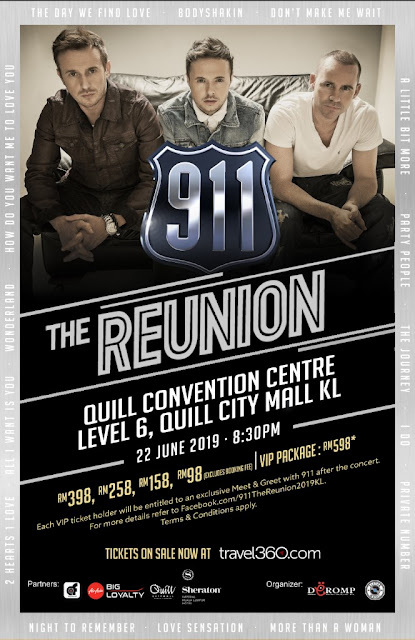 Finally the ticketing details for 911’s “The Reunion 2019 Live in Kuala Lumpur” are out! So fans, time to break that piggy bank because the ticket sales begin this Thursday. There are five ticket options to choose from: RM98, RM158, RM258, RM398 and the limited VIP package priced at RM598. The VIP ticket holders will be entitled to an exclusive Meet and Greet with 911 after the concert. Here’s the updated poster for the 911 reunion concert. “We have been waiting for this day! It’s been too long, Malaysia! I hope our fans will come together to join us at this Reunion Party in KL. Malaysia is truly special to us,” said Lee in a greeting to their fans. 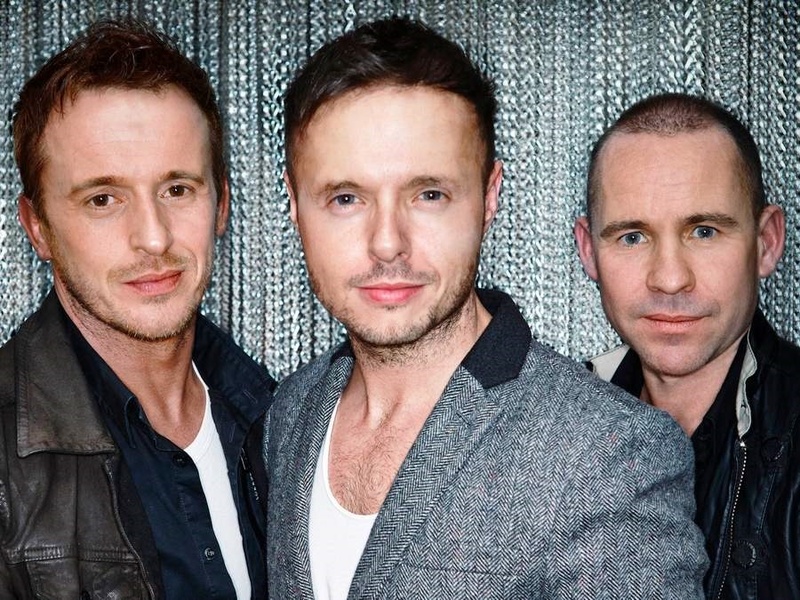 While Spike visited Kuala Lumpur last November for a private visit, their concert at Quill City Mall KL this 22 June will mark the trio’s first time performing together in Malaysia in nearly 20 years. Visit facebook/911TheReunion2019KL for further details.